The timing belt keeps the camshaft and crankshaft turning at the correct rate. The crankshaft moves pistons up for compression and exhaust cycles, while the pistons move down for power and intake cycles. Depending on the vehicle make, a timing belt will also run the water pump, oil pump and injection pump. The camshaft controls the opening and closing of the valves for intake and exhaust. The valves must open at the correct time to allow fuel to enter the chamber and then close to allow for compression. 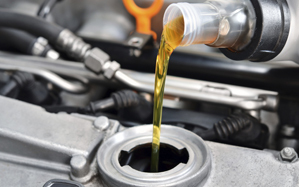 If the timing cycle is off, fuel may not enter the cylinder or could escape through an open exhaust valve. If the valves are not fully closed during compression, the majority of the engine’s power will be lost. Many car owners may wonder how often to replace a timing belt. The old rule was every 60,000 miles. As technology has improved, many manufacturers recommend intervals up to 100,000 miles. To be safe you should check what the vehicle’s manufacturer recommends and stay within that mileage. Faulty timing belt symptoms include a loss of power, loss of fuel economy, misfiring and engine vibration. Timing belt noise is no longer one of the most noticeable indicators of potential belt failure. When the vehicles had timing chains they would become very noisy as they loosened and began to chatter. Now that vehicle manufacturers are using belts you are less likely to hear when it becomes loose or cracks. Belts can create a mild chatter sound but nothing in comparison to the sounds of a timing chain. You can also answer the question of when to replace a timing belt if you are having other work done that requires the removal of the timing belt cover and belt. In most vehicles, the belt must be removed if the water pump must be replaced. Reinstalling a used belt is not a good idea. The belt will have stretched and getting the timing set exactly right is difficult. The majority of the cost of belt or water pump replacement is the labor. You should invest in a new belt. This rule also applies when you are replacing a timing belt. You should consider having the water pump replaced at the same time. If the pump is near the end of its expected life cycle, you will save on the cost of a second service with a high labor cost. What happens when a timing belt breaks? In the best-case scenario, when a timing belt breaks, your engine will simply stop running. There is no longer a connection between the camshaft and crankshaft. This is what occurs in a non-interference engine. The overall impact of a broken timing belt does depend on the type of engine installed in your vehicle. Engines are either interference or non-interference. Interference engines gain a bit more compression and provide slightly more power. Smaller engines may be the interference type for this reason. In this configuration, the valves extend into the cylinder a little more than in a non-interference engine. This also means that if the system is not properly timed, the valve may not be out of the way when the piston moves fully upwards. When a timing belt breaks in an interference engine, one or more valves may be stuck in the open position. The pistons will move upwards forcefully, crashing into the open valves. In the best case, your engine will have some broken valves and damaged pistons. In a worst case, the valves and rods can push through the engine cover. Pistons have even been known to crash through oil pans if the crankshaft twists and breaks in the process. The engine is now ruined. Total is the world’s fourth-largest publicly-traded integrated oil and gas company, with operations in more than 130 countries worldwide spanning all the aspects of the petroleum industry, including Upstream operations. 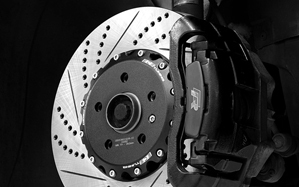 Break rotors, Break pads, Calipers, Break fluid, Brake lines, ABS Break system repair.